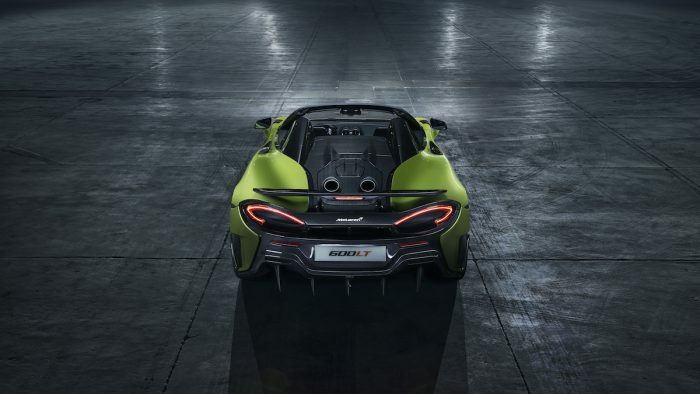 We teased what we believed to be the 600LT Spider not long ago. Now the car’s here for real. 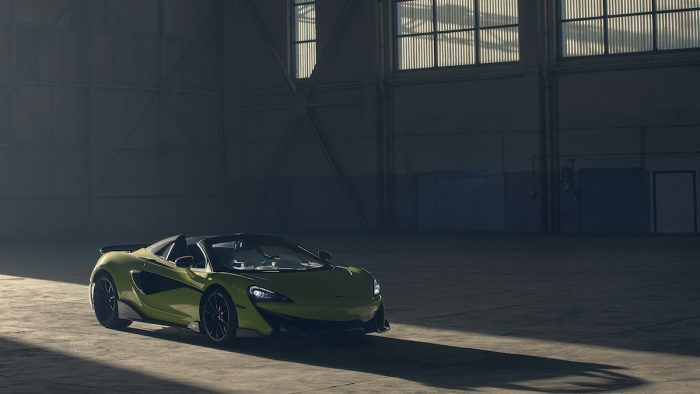 McLaren’s fifth car to have the Longtail name, the 600LT Spider is a speed demon with agonizing good looks and tons of horsepower packed into a lightweight body. The car features a 3.8-liter twin-turbo V8 that makes 592 hp and 457 lb-ft of torque. That engine paired with the car’s light weight makes it good for a 0-60 mph time of just 2.8 seconds. It can sprint from a standstill all the way to 124 mph in a quick 8.4 seconds. The top speed is a whopping 201 mph with the roof raised. With it lowered, you’re looking at a slightly lower 196 mph top speed. 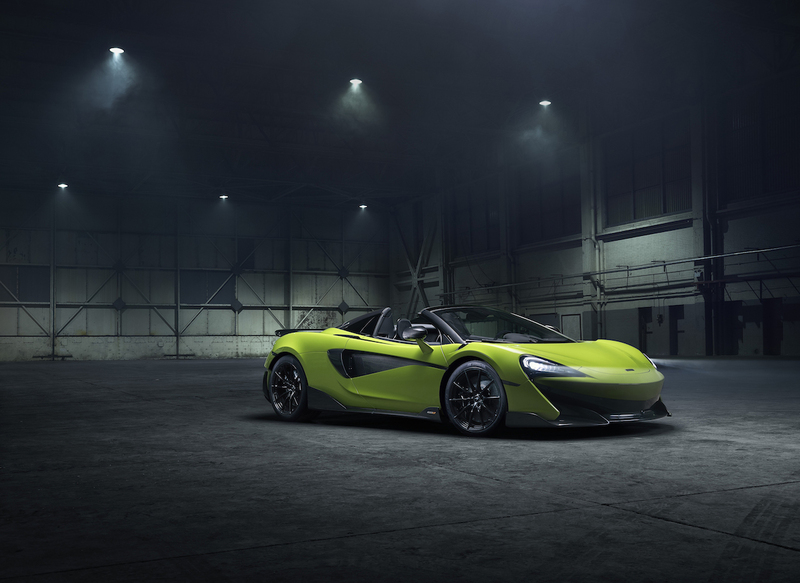 The McLaren 600LT Spider adds a new dimension of excitement to the most extreme model in the Sports Series family, while losing none of the Longtail focus. 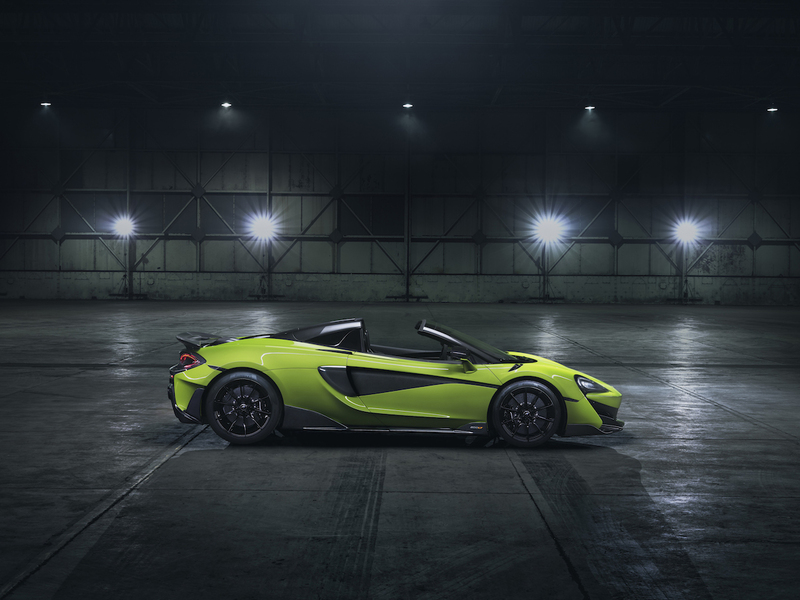 Taking full advantage of the strength of the carbon fibre MonoCell II chassis has ensured that the new Spider has dynamic abilities and performance on par with the 600LT Coupé, for a weight premium of just 110.2lbs and with no additional structural strengthening required. 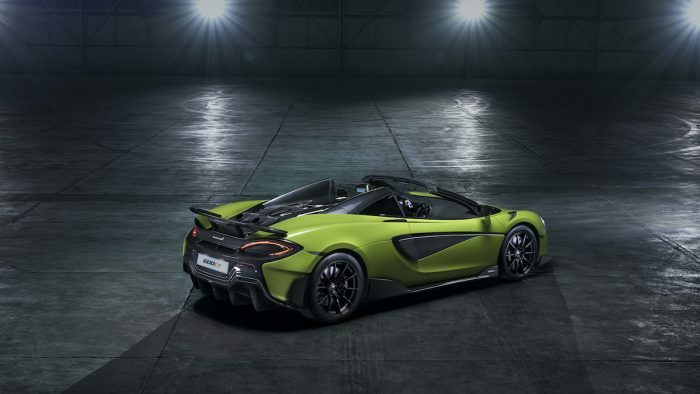 The 600LT Spider may be heavier than the 600LT coupe, but it’s lighter than the 570S spider upon which it’s based. It is roughly 200 pounds lighter than that car. The car’s elegant body isn’t just for show. It’s aerodynamic and the large fixed rear wing provides 220.5 pounds of downforce at 155 mph. 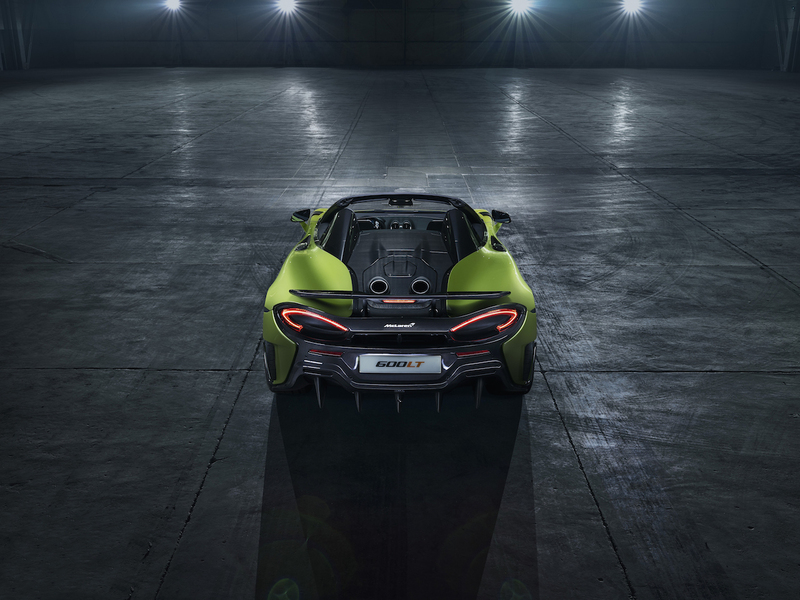 McLaren reworked the suspension system for the car to provide excellent, track-focused handling. 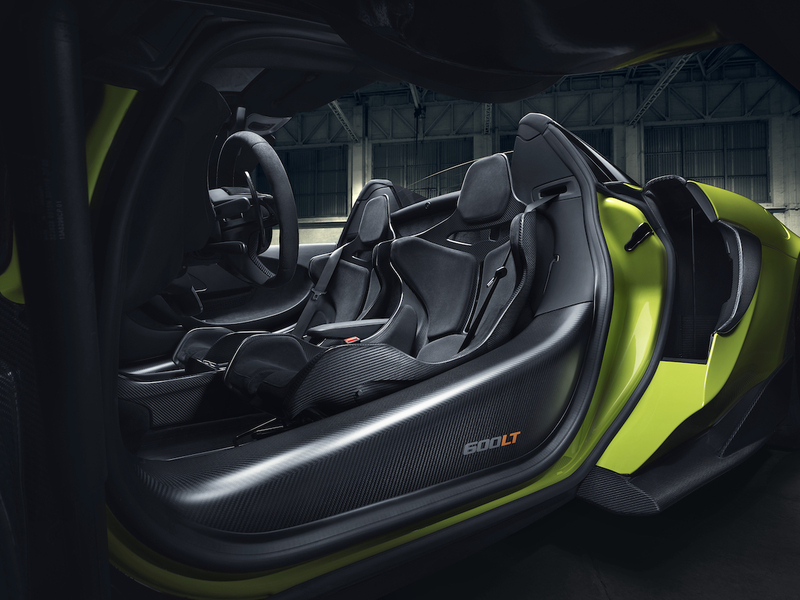 The hardtop convertible roof on the 600LT Spider stows in a space behind the seat. When not stowed, owners can use the space for the roof as additional cargo space and offers up to 1.8 cubic feet of storage. The interior of the car features beautiful materials, like Alcantara and a cabin much like the 600LT coupe with Carbon Fibre Racing Seats from the McLaren P1 fitted as standard. 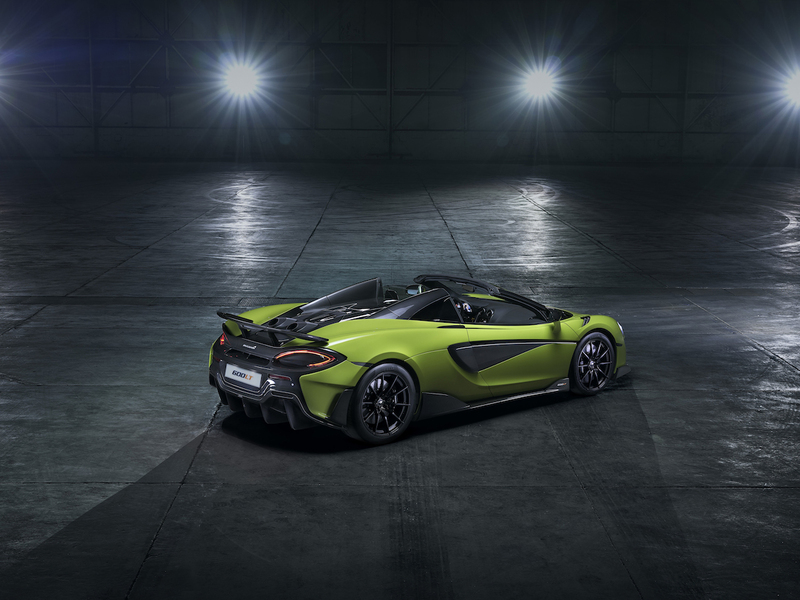 The 600LT Spider is now available for order. 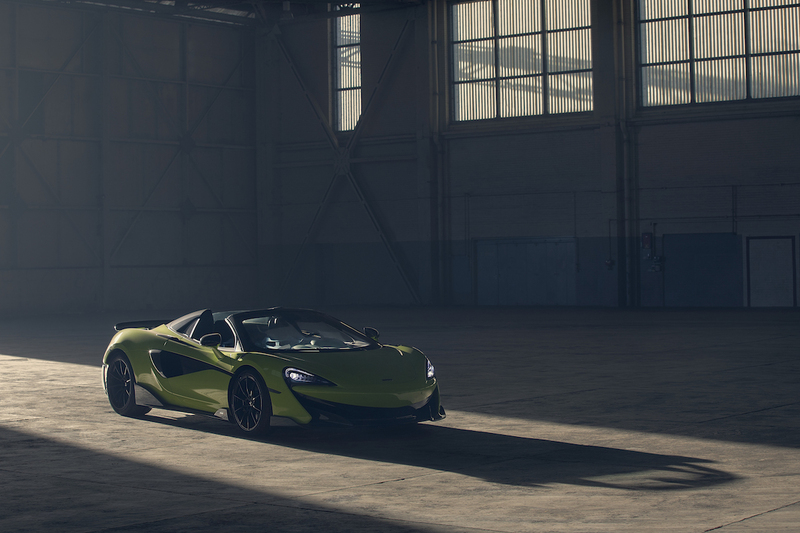 McLaren will produce limited numbers of the car, and it has a starting price of $256,500.